I am finding it difficult to describe how awful this narrator is. From the first second of the book, her histrionic overacting of every word was incredibly bad. Added to that, the first scene is the description of a nightmare. By the end of the nightmare, the narrator is literally screaming in your ear. I listened for a short time to the next chapter, where the voice of every character other than the main character is for some bizarre reason read as if he or she was an aristocrat in a P.G. Wodehouse novel. 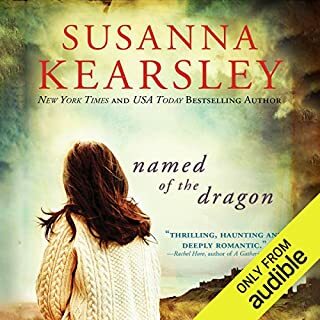 I have been listening to audiobooks for over 20 years, and this woman is literally the worst narrator I have ever heard. I found this an intolerable, just awful listening experience, and to top it off, this was an Audible production. Audible, try actually listening to the narrators you hire next time. BAD BAD BAD. I will have to read this book myself. Listen as David recounts the experiences of his rise to successful novelist - his wretched boyhood , the drudgery of his various jobs, his marriage to the boss’ pretty daughter, his flight to the continent, and finally, a reunion with his true love. Tull’s marvelously resonant voice ushers us smoothly through young David’s trials. His ability to move deftly between different accents gives new life to some of the best-known characters in all of literature. 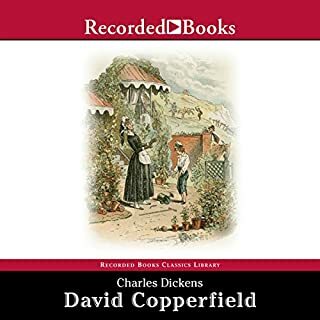 David Copperfield is one of the books that I have returned to most often in my life, and it is the book that reveals the most depth with each re-reading. The wonderful cast of characters is often remarked upon, but the most meaningful aspect of this novel to me is the passionate reflection on certain emotions and experiences, most notably grief and regret. My first choice when I joined Audible was Patrick Tull's reading of David Copperfield. I had listened to it on audiocassette from the library years ago and was thrilled to be able to hear it again. This is one of those narrations that lifts an already great novel to an even higher level. Tull reads with humor, pathos and deep feeling throughout. There is a quality of wisdom and perspective to the way that Tull personifies David, the title character, as he reflects on his experiences. I can honestly say that I laughed and cried many times as I listened to this beloved book. I can't recommend it highly enough. Philip Norman has long towered above other rock biographers with his definitive studies of the Beatles, the Rolling Stones, Elton John, Buddy Holly, and John Lennon - legends whom the world thought it knew, but who came to life as never before through the meticulousness of Norman's research, the sweep of his cultural knowledge, and the brilliance of his writing. Now Norman turns to a rock icon who is the most notorious yet enigmatic of them all. First off, the narrator is one of the worst I've ever heard. His accent is maddening; he sounds like a robotic Robin Leach. He often mispronounces words and names, sometimes pronouncing them differently from one instance to the next. Despite being a longtime fan of the Rolling Stones’ music, I have never had a high opinion of them as men. Jagger’s treatment of women, business partners, colleagues, and supposed friends will not impress anyone with any moral standards. Philip Norman seems overeager to give Jagger credit for the instances when he is NOT contemptible, as for the fact that all of Jagger’s children seem to be genuinely fond of him. In the absence of cooperation and input from Jagger himself, Norman surmises too much: “This was the most horrible experience of Jagger’s life, no matter what he may say himself (paraphrased).” Norman repeatedly refers to the Redlands drug bust as the most “terrifying” time of Jagger’s life, despite showing no evidence that Jagger considered it terrifying. Norman repeatedly refers to the Stones with ludicrous superlatives. Everything they have gone through is either the worst or the best or the most or the least that any rock band has ever gone through, with the occasional exception of the Beatles. Such declarations might have been less ridiculous in 1972, but 40 years later, there have been a huge number of bands and celebrities, and it’s doubtful that the Stones’ experiences always qualify as the most extreme. Norman is obsessed with Jagger’s lips and mouth to an annoying, disturbing, almost fetishistic degree. It is the mouth that Jagger was born with, after all, before the days of surgically inflated clown lips. Norman is also fixated on Jagger’s “girlish,” flat midriff. Norman’s attempts at humor are puerile and irritating. His tone alternates between sniggering envy and smug condescension. I expected a more mature perspective in the year 2012, but the book reminds me of those written 30 years ago by rock “journalists” who obviously just worshipped the Stones. 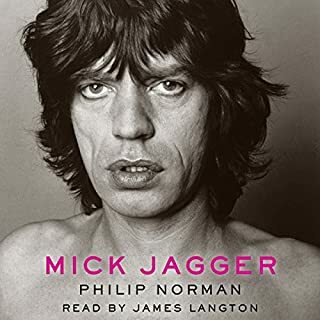 Norman’s writing about the Stones’ music and Jagger’s vocals in particular are uninteresting and absolutely excruciating to listen to as the narrator attempts to enunciate Norman’s apparently phonetic writing of Jagger’s drawn out, fake Cockney and blues accents. This narrator, while bad enough already, is nearly unbearable when reading or “performing” Jagger himself. One of the worst aspects of this book is that Norman often repeats details and opinions. You get the impression that it’s unintentional and that the book was written in fits and starts. He just doesn’t remember that he already mentioned that. He mentions blues legend’s Robert Johnson’s infamous “pact with the devil” no less than 3 times. He repeatedly compares Jagger’s now aged countenance to the faces on Mount Rushmore. (Personally, I don’t see the comparison, as Jagger lacks both the dignity and historic significance of those personages.) Norman seems to feel the need to find things to refer to as “the new rock ‘n’ roll”: early in the book, comedy is the new rock ‘n’ roll. Towards the end, modeling is the new rock ‘n’ roll. Why this is relevant, I have no idea. He also contradicts his own assertions: he states that Bianca and Mick Jagger did not look alike, then later says that when she cut her hair short, she looked “exactly” like Mick. Where was the editor on this book? Norman’s smarmy tone, irrelevant personal opinions, lack of insight, and uneven writing style make this is a poor biography. The atrocious narrator make it a nearly unendurable audiobook. I was completely sick of the narrator, the author, and the subject by the end and was glad when I finished it. Black Beauty has been my favorite book since childhood. I know it through and through, and there are some passages that I know by heart. I have never liked the various TV and movie adaptations of the story, and was particularly annoyed by Beauty's voice in the 1999 movie version, in which he sounds like a gerbil. When I found this recording by Nathaniel Parker, an actor I have long respected, I knew I had found the right one. I was not disappointed. Parker gives this moving, thought-provoking classic all the right touches. 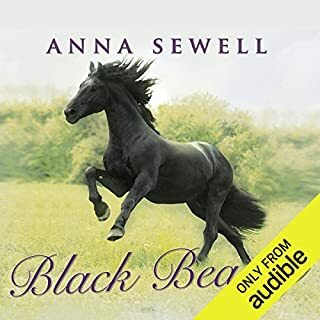 He brings the story to life with the different accents for the human characters and the lively voices for the equine characters, who are of course the most important. He made me smile at the humorous moments and brought tears to my eyes at the sad moments. Most importantly to me, in portraying Black Beauty, he sounds like a noble, spirited, thoughtful horse. Not a gerbil, not a man, but a horse. I don't know how he managed that, but he did it. I can't recommend this recording highly enough to those who already love this book or to those who are coming to it for the first time. You are in for a treat.